Oh man, I do love having a grill–it was 80˚+ today, I mowed all the grass, wrangled baby chicks, hosed down some kids–and I got to cook a complete dinner outside without heating up my house. It’s a 100% win situation around here. 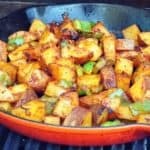 These Barbecued Potatoes on the Grill are basically a grill version of one of my very favorite winter side dishes, Barbecue Potatoes, but Ta-Da made on the grill! I just don’t have any desire to crank up the oven in the summer and my kids will only tolerate pasta and potato salads for so long before they ask for something else. I could eat cold salads ALL summer for every meal but I have other people who would consider that a punishment, so I relent. Don’t you love grilling ALL the parts of dinner right on the grill? 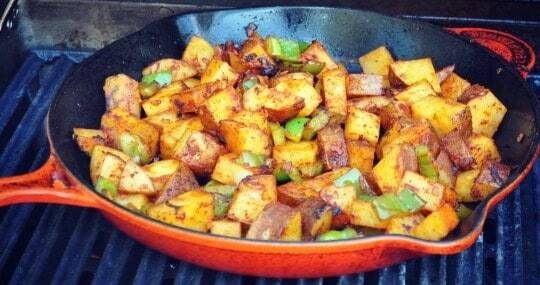 These Barbecue Potatoes on the Grill will cook up right alongside whatever is cooking on the grill. Believe me when I tell you pin a LOT of grill recipes and the ONE thing I love to find is a GOOD side dish or vegetable. Anytime I don’t have to be inside while the main dish cooks outside is a GOOD DAY. Especially when I’m already HOT AND CRANKY.  Alaska in the summer can be hot and we don’t have air conditioning, remember?? 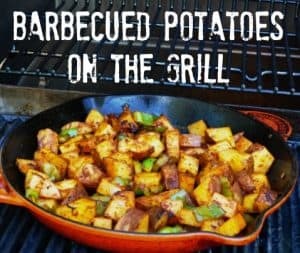 These Barbecued Potatoes on the Grill are basically a grill version of one of my very favorite winter side dishes, Barbecue Potatoes, but on the grill! I just don't have any desire to crank up the oven in the summer and my kids will only tolerate pasta and potato salads for so long before they ask for something else. Love the idea you gals are coming up with in seasoning the potatoes with the rub. Sounds luscious. It’s so tasty on potatoes! Hi Laura! These look great. I do potatoes on the grill also, but in foil packets. Total yum! 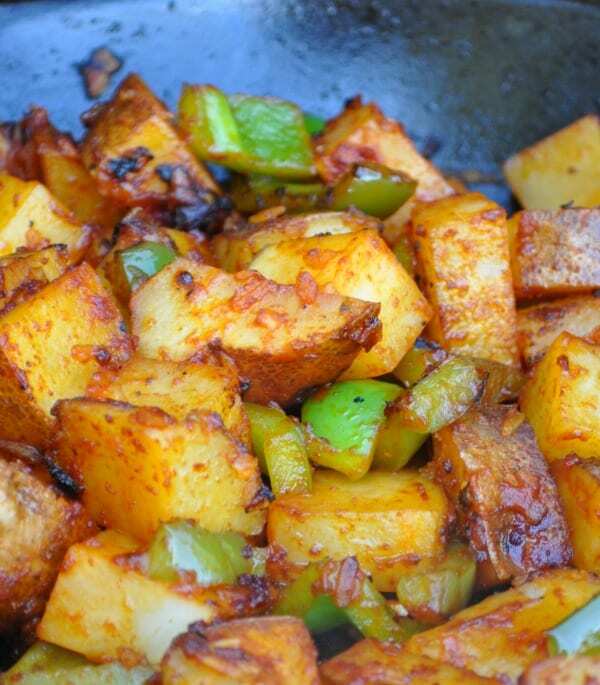 I love making them that way as well–cant go wrong with potatoes! I agree it’s so pleasant! I’ve never thought to use my skillet on the grill, what a great idea.